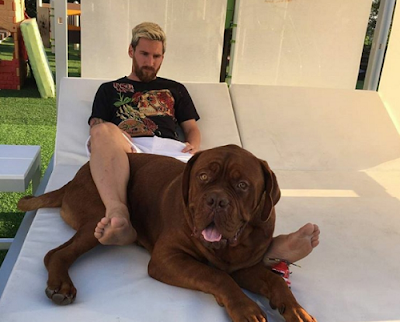 Lionel Messi has posted a picture to his Instagram account showing off his pet dog's remarkable growth spurt. 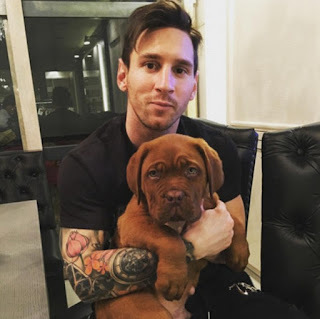 The Barcelona star, currently recuperating from a groin injury, was gifted the Dogue de Bodeaux by girlfriend Antonella Roccuzzo at the start of this year. And eight months after publishing snaps of the moderately sized addition to the Messi tribe, the five-time Ballon D'or winner has proffered a pictorial update of his dog's considerably expanding dimensions.